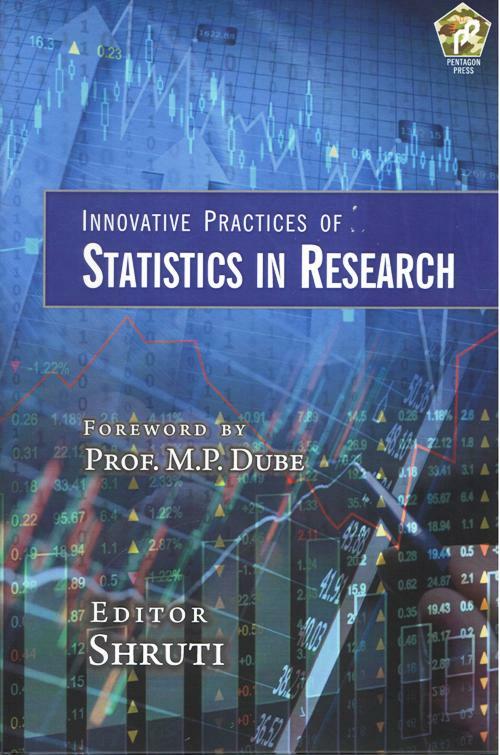 This book highlights innovative practices of statistics in research. The book explores the various dimensions of uses of Statistics in area of research. This book contains seven sections, focusing on research methodology, probability, sampling theory, statistics in applied disciplines, Statistical analysis through softwares (MS-Excel, SPSS, Stata & R), research proposal and report writing divided into nineteen chapters. Special emphasis is given on the statistical tools and its applications in the field of research both scientific and social. The last section which is devoted to the developing research proposal and report writing will be highly useful to readers and researchers. The book is designed keeping the research and statistics in the nucleus and an attempt had been made to aware readers and researchers about the topic. This book is the outcome of the contributions made by the lectures delivered by the resource persons and invited lectures related with the themes of the workshop held on 14-20 March, 2015 at School of Sciences, Uttar Pradesh Rajarshi Tandon Open University. Dr. Shruti, presently working as Assistant Professor (Statistics) in the School of Sciences, U.P. Rajarshi Tandon Open University, Allahabad with fifteen years of rich experience of academics including Department of Mathematical Sciences & Computer Applications at Bundelkhand University Jhansi from October, 2001- January 2007. She has completed her M.Sc. (Statistics) from Allahabad University and M. Phil. (Statistics) from Dr. B.R. Ambedkar University, Agra and Ph.D. in Statistics from B.H.U. Varanasi. During the tenure of her research, she has been recipient of a scholarship from ‘Jawahar Lal Nehru Memorial Fund, New Delhi’. She holds Ist rank in B.Sc. (H) & M.Phil. and also Vth rank in M.Sc. examinations. She has served as a member of Executive Council, Academic Council, Planning Board, Examination Committee and Recognition Board etc. She has also hold the post of Public Relation Officer of working university for about 10 months. Presently she is a member of Academic Council, Examination Committee etc.. She is life time member of various academic and professional bodies. She has organized and actively participated in a number of national/international conferences, seminars, workshops, training programs and symposiums. She has two books, some units and block of the self learning material for the university and number of research papers published in reputed national journals & international journals. She has also chaired and co-chaired in many national /international seminars/conferences and also delivered lectures.